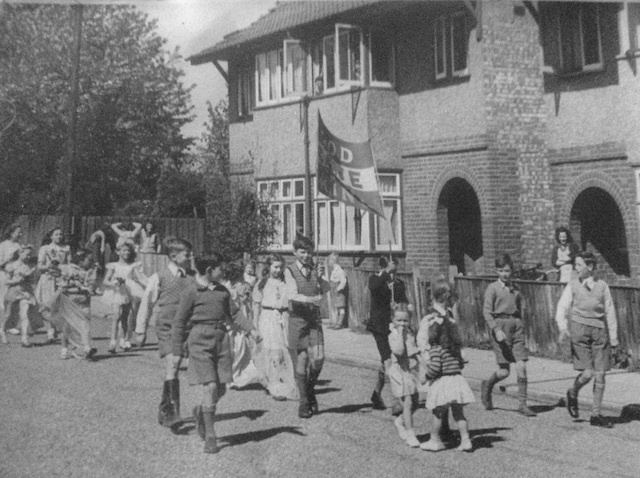 I happened to find myself on two Oakwood School photographs from the 1960s. On the first picture I am at the front, sitting next to Nigel Morgan on the righthand side. On the second photograph I am on the end right, second row back. Unfortunately, I can't help out with any other names. I left Oakwood School due to moving home in March 1968, so the photographs that have me in them would have been before then. I also know that in 1965 I was in Mrs Brown's class. Gail. 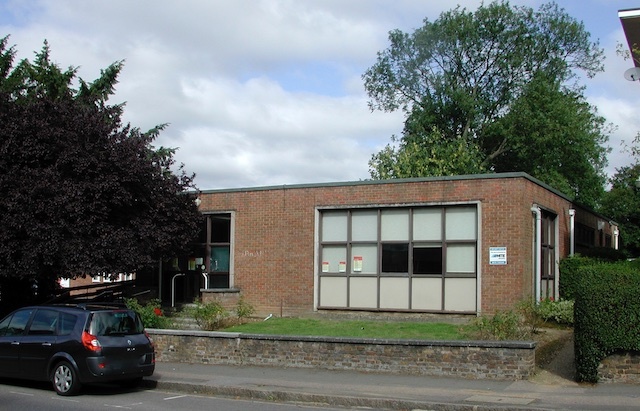 Thanks for your email re the old Marshalswick School (Form 5/2) photograph. It's a shame Mr Danter (who has sadly passed on, so I'm told?) didn't take a form photo when we were first put in with him in the old geography room where he was "in charge" of us. 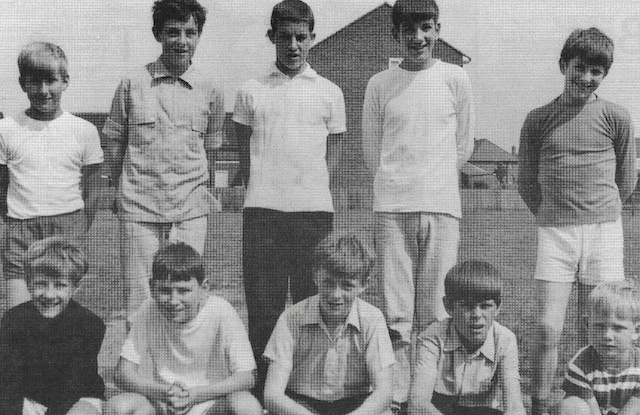 I seem to remember we were with him as 4th year pupils and stayed with him until we left (myself at Christmas 1962). There would have been several lads who had already left by then: Norman Kelly, Alan Wills, Michael Hogben, Richard Cook, David Pratt, Alan Rivers. I am a little uncertain about R Cook and D Prat, as to whether they were originally in our form, but they were names that I can remember. Do you know whether there are ever any old ex-pupil meetings that may take place these days? I would love to meet up with any lads from those days. I recall Alan Clarke who at that time had a longish period away from school with a skin graft operation. Peter. The Electric Appliance Company was in Napsbury Lane, where the North Orbital Trading estate is now. Although it must have been quite a big company, there appears to be very little information about it. I did wrote to the St Albans Observer in October 2001 asking if anyone remembered cycle speedway in St Albans. They did get one reply from a Keith Hammond. 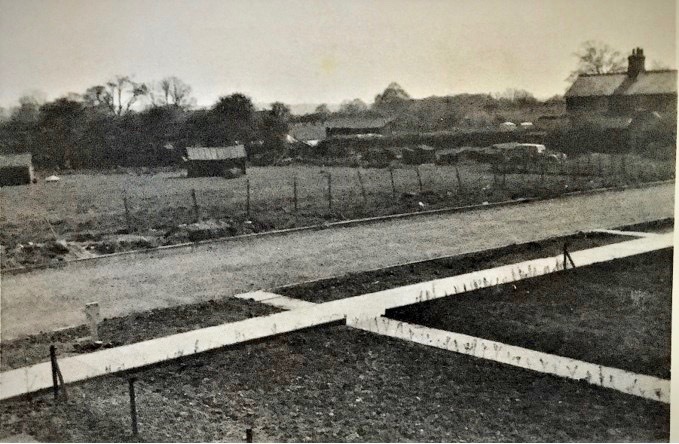 He said that both his father and uncle had ridden cycle speedway, and although they both worked for the EAC company they opted to ride for the St Albans Cobras on their track in Cell Barnes Lane. He said that his father remembered riding against the Whipps Cross Comets and the Hoddesdon Kangaroos. He also remembered the track in Rothamsted Park. Unfortunately, when I contacted the newspaper for Keith's address they said they did not have it. 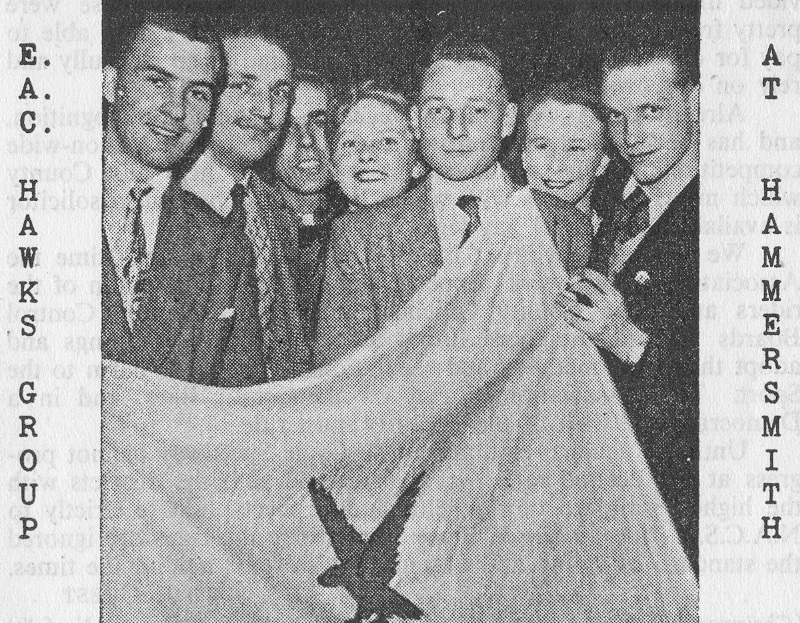 In 1951 EAC Hawks signed riders from other teams so as to win the league (which they did). They did not ride again after that season, either because the factory closed or the team disbanded – most likely the latter. In 1949/50 there were some 3,000 teams nation wide. A national newspaper, the News Chronicle, sponsored the knockout cup, and Mars the individual trophy. The number of teams dropped dramatically, as most teams were formed 1946/8 by school age boys; so they all reached 18 years at about the same time. So whole teams were called up for National Service. Hoddesdon Kangaroos were one of the top teams in Hertfordshire. They won the league title in 1956. When the league collapsed I invited them to join the North-West Middlesex League. In the first match they beat my team 30-80! Clive Hitch, their top rider went on to be come a successful motor speedway rider. He also rode for the EAC Hawks in their last season, but does not remember much about it. 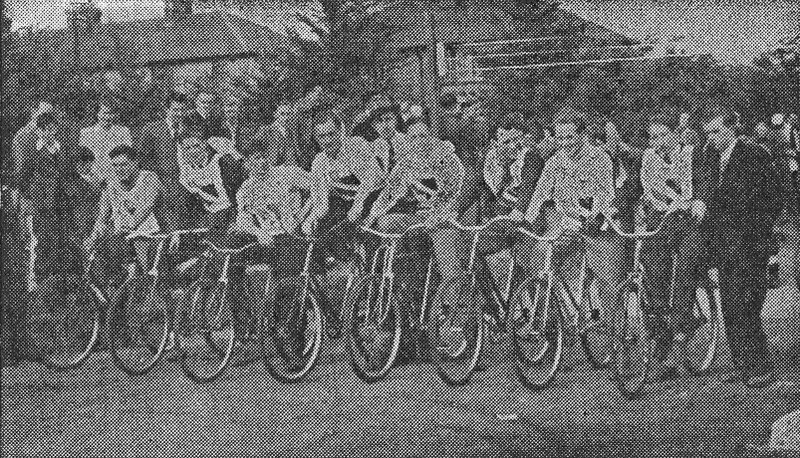 I did put a notice in the Cell Barnes Library, asking if anyone remembered the cycle speedway, but did not get a response. Bill. 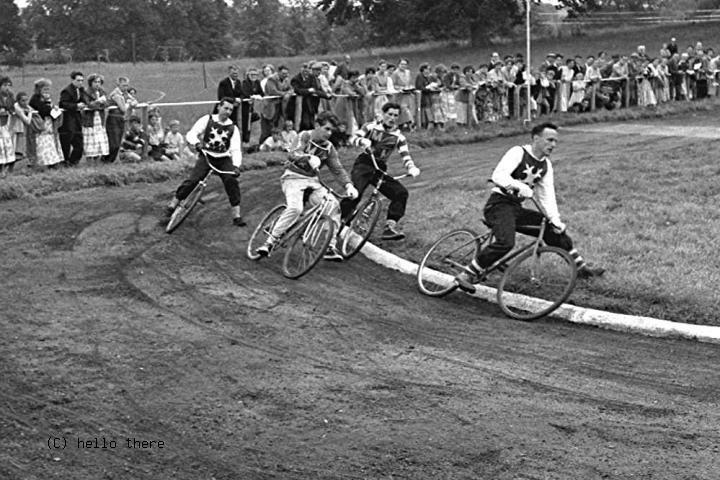 Images below: Left: typical cycle speedway action; centre: EAC Hawkes team 1952; right: Cell Barnes Lane track (probably where the circus field was, Wingate Close today). Not only do I have my own memories from the fifties and sixties, but I also have my parents' stories, anded down (but not written down). One in particular. My mum manages to get hold of some apples during post-war rationing, and made a batch of toffee-apples. The word got around the local children very quickly, and soon there was a queue down the street. 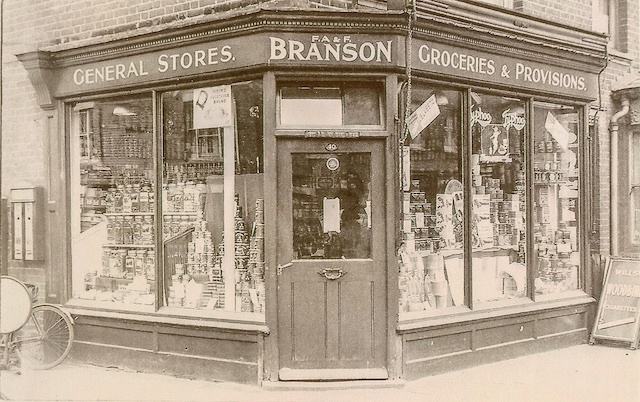 Dixon's the grocer, was next door on the corner [with Woodstock Road south]. He had a counter that had a hot oil pipe running behind it for shop heating. As a toddler I slipped out of my mum's sight while she was shopping, and put my hands on the pipe. I have no recollection but apparently my hands burned onto the pipe and had to be peeled off. The skin on my hands is apparently all skin graft, but I carry no scars! On the other side [of us] was a fish shop, then there was a cafe and an early supermarket (it actually had baskets so you could help yourself; fancy that!). Further down was a chemist and Presence, the family butcher. Then the laundry over Arthur Road, and the Rats' Castle opposite. Over Woodstock Road from us was Arthur Rankin Smith's, the stationer and post office. Then further up was a shop that, in the sixties, became an agent for Skoda cars. Further up the road was Stone's, where I could buy train and aeroplane magazines. Opposite [us] was Ballito, of course, all red brick with steps and a car ramp at the front. Directly above our shop was the lounge and above that was my bedroom, which I shared with my older brother, David. Every New Year's Eve towards midnight a lone Scottish piper stood on the forecourt of Ballito and played his bagpipes. I don't think anyone ever knew who he was. I remember train spotting at a railway cutting in Clarence Park, in the great days of steam. In the bad winter of 1962/63 my brother and I earned sixpence per car pushing cars up the ice slope that was the bottom of Woodstock Road. Behind our bedroom at the top of the house was our stock room and I well remember lugging massive cardboard boxes of cigarettes etc up two flights of stairs. There was a cupboard under the eaves in our bedroom which was a delight to explore. There was a mass of Union Jack bunting which I found out later was a left-over from the Coronation celebrations. I well remember my dad's white shop coats. I collected old coins – Victorian bun pennies, etc, and the early silver coins. My parents counted the cash from the till on the kitchen table every evening, and I remember going through them for rare and priceless gems. I still have some of them to this day. I accompanied my dad to Lloyds Bank, up near Rollings, with cloth bags of cash to bank. Christmas was a busy time at the shop. My dad used to get a bulk quantity of wrapping paper and us kids had the job of folding every sheet in half, then in half a second and then third time. Took hours! I remember all the visiting travellers with their battered leather suitcases, who would bring their latest products to show my Dad. One in articular was always greatly anticipated – the toy man. I always had the very latest Matchbox car before any other the local children, and proudly took them to Fleetville School the next day to show them off. You probably don't remember my Mum, Clarice, because she spent most of her time in the kitchen and scullery behind the shop. I was the youngest of three children. The eldest was my sister, Margaret, who went to Loreto College up the Hatfield Road. 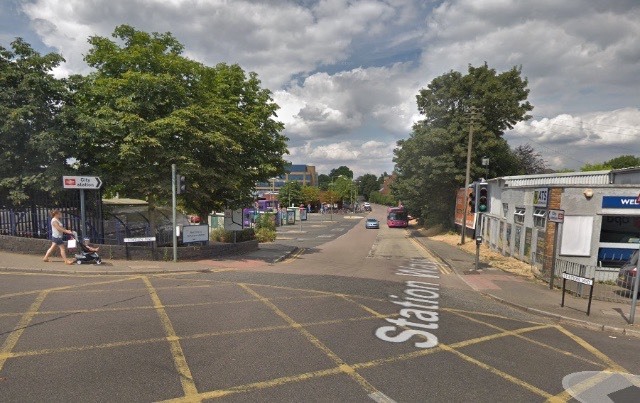 My brother won a scholarship to St Albans School, but I did not do so well in the entrance exam and only managed to get to the Grammar School in Brampton Road. Ian Grace. 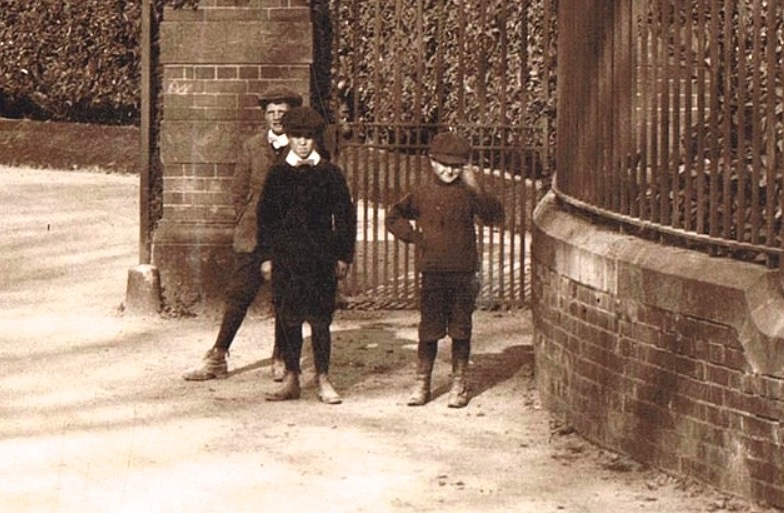 Ref the blog "You'll Never Guess What, Mum", which was posted on 6th May 2017, has a photo of 3 young boys standing at the entrance of Hill End Mental Asylum with Hillside House in the background. The article speculates about who the boys may be. Well, I have reason to speculate the possibility of who one or two of the boys may be. You see, my great grandfather, George Goodchild, was the Clerk and Superintendent at the hospital for around 30 years, from around 1896, before the first buildings had been built, until his death around Christmas time of 1927. Therefore he would have been the resident of Hillside House at the time the photo was taken. Furthermore, my grandfather, Arthur Gerald Goodchild (Jerry) was born to George Goodchild and his wife Ida Florence, at Hill End on 31st October 1904. From what I can make out in the photograph, based on the growth of the hedges and other garden growth, the picture was probably taken sometime between 1910 and 1915. In 1912 Jerry would have been about 8 years old and living with his parents and brother in Hillside House, which would put him in the right age bracket for one of the boys, along with his brother. If he was not one of the boys he very likely would have known who the boys in the photo were. Jerry's brother was George Bertram, born in 1900, four years older than Jerry, which would also match the age differences. Unfortunately I do not have any photographs of my grandfather as a young person, so it is not easy to compare. But from what I remember of my grandfather, who died in the 1980s, his features resemble those of the youngest boy (on the right). My great-grandfather, George was honoured with an MBE by the King in June 1927, for his life work at Hill End. My grandfather, Arthur Gerald (Jerry) and his wife, Winifred, emigrated to Johannesburg, South Africa, in the mid 1930s, and my father was born in South Africa in 1939. I was born in South Africa in 1969, and still life there. I would be very interested to get other information about my great grandfather, his wife and family, particularly about what happened to my great-grandmother after George died. I have no information about my grandfather's childhood at Hill End. All the information I have is from after he emigrated to South Africa. I have picked up from other articles that Dr Kimber at some stage took over as Clerk and Superintendent. Dennis Goodchild. Below: On the left is part of the original photo referred to. Superintendent George Goodchild (right). Just spotted the photograph of Wynchlands Crescent party; it looks ver much like one of Sed King's photos because he took many around the local area. As you know, the east part of Wynchlands meets up with the Oaklands estate woods, so the house on the extreme end of the row, with the woods in the background, was occupied by Mr & Mrs Tyler and their daughter Yvonne (who was in the same lass as me at Fleetville). Three doors along, that looks like Mrs Lambert watching the parade, because her son Tommy, around 9 years old at the time, would have been taking part. Unfortunately, I cannot make any other positive identifications, but I know with absolute certainty, that if anything was happening in Wynchlands Crescent the Pickering children would have been fully involved – they might have even organised it. I suspect the occasion might have been a street party for either VE or VJ Day. I remember there was one in the Crescent, but can't remember for sure whether my brother and I were allowed to attend as we lived in Hatfield Rad. But I have a memory of tables in the street, with sandwiches and jellies – or is that wishful thinking? Of course, I should have remembered that you would recognise something about this photo; but I sensed something not quite right. You have an image in your head that it is the bottom end and Hatfield Road side of Wybchlands. However, using Google Streetview I see that, although the front elevations are the same, the roofline is gable-ended. Kelly's shows the Tylers living at number 2 on the Winches side, but at number 1 opposite were the Tysons in 1946. I found the Pickerings; they were at number 11. The houses in the photo, however, are at the top end and on the Winches side. Here the rooflines slope down to the front gutters, as do most of the houses in the road. The homes in view are numbers 44 and 42. Mr & Mrs Brimble moved into number 44 just before the war. Mrs Brimble later became cook at Oakwood School. My mum also worked at Oakwood and she and Mrs B were good friends. However, you were close in one respect; the lady watching outside number 40 was almost certainly Mrs Taylor! As you will recall the road was on a slight incline from west down to east. From the brick line above the porches you can see the road does indeed slope down to the right. The low paling fence just beyond number 44 houses an electricity transformer and some of the trees leading down towards Winches Farm were cut down for the modern houses. Number 44 now also has an extension. Have to agree, Mike. I was fooled by the fence and the trees. Brimbles – my brother had a school friend called Corrie Brimble. Must have been the daughter. 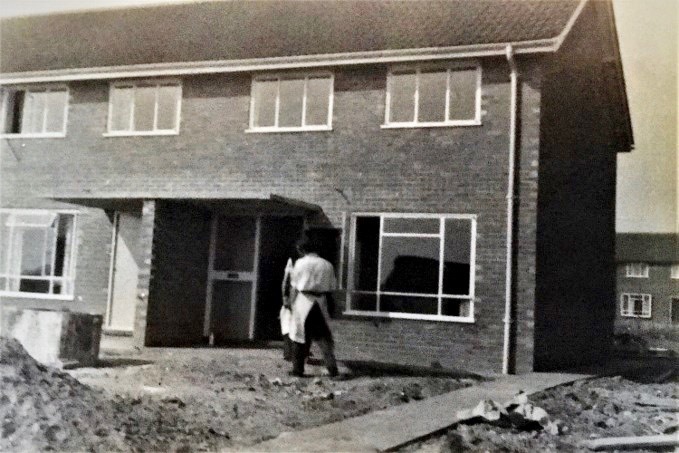 In September 1956 I moved with my parents from North London to a brand new council house, number 110 Drakes Drive. My dad was a brass musical instrument maker and he worked at the Salvation Army factory in Campfield Road. He cycled the twenty-odd miles to St Albans each day until he eventually bought a little BSA Bantam motor bike. Needless to say the move meant Dad's commenting time was dramatically reduced. Initially I attended Cam School but transferred to Windermere School as soon as it was built. In 1961 I went to Francis Bacon School which had opened a year previously and was then housed in the old Alma Road School until the new buildings in Drakes Drive were completed. At that time we overlooked the old chicken farm and the cottages still on the corner of Cell Barnes Lane and Drakes Drive. The water tower and chimney on the Hill End hospital site are visible. The boy in the school uniform is one of the Wilkinson family who lived at number 106. I don't know his first name but his sister was Valerie. Dad was a very keen gardner and in 1959 was awarded the prize for the best council house garden in the city. We were very proud of him when he received the cup from the Mayor; it showed how hard he had worked in just three years. John. I know the Institute building well, having passed it umpteen times on my way to school, but only remembered it as Vernon's printers. I have a vague recollection of a cousin working there as a printer. My sister lives in Eaton Road, in one of two houses which have a rear access onto Arthur Road. My great uncle, the Steward at Fleetville Institute, was names Archibald John Sexton (1874 to 1954). A long and involved story if you are the least bit interested. Archibald married Elizabeth Street (1870 to 1939) in 1895, and they had one daughter. They were living in the Institute in 1902. 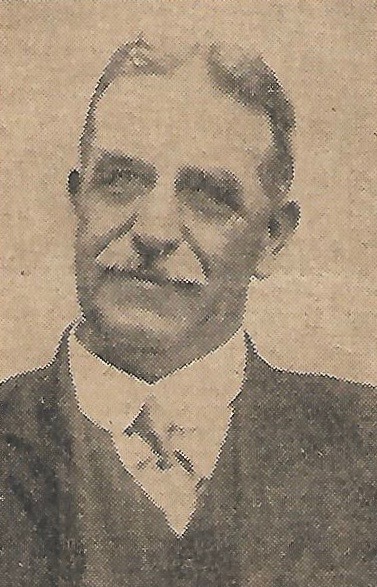 At some stage after the 1911 census, when Archie was a straw had machinery operator and living in Albert Street, he deserted his wife and child, and I was told he headed to the South Pacific. I have found his grave here in Auckland and tracked backwards from there through the Auckland funeral director who buried him. I found that he married a German girl, bigamously, in Tonga in 1921, and had four more children with her before moving to Auckland. I came across the Institute because my grandparents had nine children. Only Archie was married and his next brother, Leonard, was at sea. All except the last three were able to cope by themselves. Agnes, my paternal grandmother, and Elizabeth were place in King Edward's School, Southwark, and the youngest, Hugh, went to Barnardo's. It was Barnardo's that were able to give me a full family run-down of the family at the time. Poor Hugh, he later went to sea, joined the army in December 1914 and lost his life 10th March 1915 at Neue Chappelle aged only nineteen and a half. Among other connections to our East End. My Mum, Margaret Roome, though born in Thorpe Road, spent much of her younger life in Cambridge Road. She had known my father almost from birth. They got together while both working at the Sphere Works. Another of my grandmother Sexton's sisters, Eliza, married William Witherspoon, a brass turner and finisher who, I believe, worked at the musical instrument makers in Campfield Road. Great grandfather Samuel Henry Sexton, who died in 1902, was a printer's packer in the 1901 census. Barnardo's informed me he worked at the Fleetville Printing Works and was only discharged shortly before his death; probably how Archie came by his job. Tony. I've just been looking through your wonderful website! I lived some of my childhood years in Cambridge Road, and was amazed to see a photo of it here. My parents. Bob and Marjorie Westfield's best friends were Anne and Robbie (can't recall the surname but he was Irish), who lived in the adjacent Wellington Road. I used to play with Anne's sister, Susan when she visited. Anne and Robbie had a daughter, Tracey. My Dad had been a chef in the Royal Marines. He and Robbie had worked together as chefs in the kitchens of Hatfield Hospital. My mother was a secretary at Marshalswick Boys' School in those days, and her friend there was Mrs Simmons, who I was delighted to spot in a photo of Beaumont School. I guess Mrs Simmons must have been one of the staff who moved to Marshalswick. 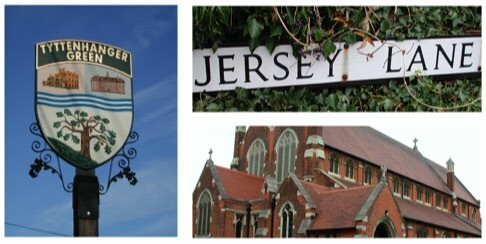 I attended Fleetville Infants and Juniors from c1959/60 until roughly the end of the junior years. My best friends there were Felicity Buxton, who lived somewhere north of the school, and Lyn Wilson who lived south of it. Another name I remember was Mary Briggs, and I have a feeling her parents ran the post office near the school. Also remember Richard Moon. I used to walk to school on my own and I passed Marconi Instruments [Fleetville] and the Ballito stockings factory. I desperately wanted a pair of the black stockings which had pictures of the four Beatles faces on them. I wonder if anyone remembers them. Although I don't have any photos of St Albans to submit, I'd be delighted to see any photos of my days at Fleetville. Or to hear from any class mates – I can't remember any more names at the moment. The teachers I remember were Miss Probert, a largish lady with ginger hair (I think) always in a bun and who taught geography. And Mr Blanks, a rather cruel bald-headed man who liked taunting Richard Moon when he was talking, by making him stand on his chair while saying, "Get on your chair, Moon, up in the sky where you belong." Funny what sticks in your mind. Clarence Park was where mum and dad played tennis, leaving me on the sidelines with a banana ice lolly. Thanks for the trip down memory lane. I hope some of my information rings a bell with someone. Brenda. From Mike: Fleetville School page here, but most of its photos so far are earlier than your time there Brenda. If you began in 1959 it is possible that your year group included Pauline Addison, Jo Best, Marion Bousted, David Evans, Susan Grabner, Ian Grace, William Greenhalgh, Paul Holland, Briony Jones, Mark Knight, Ian McClellan, Heather Rhodes, David Seymour, Michael Shadow, Alexander Spark, Ian Turnbull, Alistair Woods and Philip Woods. Richard Moon's brother, Nicholas, was in the previous (younger) age group at the school. About 1929 I used to play in the pits where they dug the clay. We were not supposed to and my dresses were always filthy, but it was great fun. I think there were four square pits where they produced the clay. There was a four inch pipe going from the bank to the centre which carried the water. The bricks were made on a site at the end of Cambridge Road. A bridle path led to the pit and there was a branch railway at the side which only used to carry supplies to the mental home. I think that was called Hill End Hospital. After a few years they built houses on the other side of the line and the bridle path was made up and led to Hatfield Road. Quite why a pile of old 78rpm records should attract attention isn't obvious, but browsing through such a pile recently at a jumble sale recently brought to light the beginning of a story. The sale was at the scout hut at Longacres Park, and the pile was probably brought in by a nearby loft-clearing resident. Among the 1920s jazz numbers and 1930s dance tunes by small light orchestras, was the occasional specialist or spoken word record. And one of the latter stood out from the rest. "Anecdotes and Country Tales" was locally produced. Not a big name Parlophone or Capitol, this disc had been recorded and cut by Robert W Archer, 82 Beechwood Avenue, St Albans – his address is on the cover. Both Mr Archer and his father were switchgear engineers (possibly at a local factory), so recording and making records was a spare-time hobby. The family lived at number 82 from 1939 until the late 1950s, so we know the period during which the record was made. We also know from the label who the artist was: John Essex. At present we know nothing about Mr Essex. But someone might, and someone may recall Robert Archer from Beechwood Avenue. Specialists in recorded material may have access to early recorded material data. On the other hand, "Anecdotes …" might have been a one-off project with just a few dozen copies sold or given away. But if so, it was done right here in the east end of St Albans. The recording has now been transferred onto a CD. I know that [Victoria Street/Station Way] junction very well, having commuted into London for many years and walked from home in Hazelwood Drive to the station. For some reason I always preferred to walk up Stanhope Road rather than Hatfield Road. I don't know why; it was a bit longer that way around. Habit I suppose. When I started the commute, the Gaumont [Cinema] and Adult Education School were both still there. I can't remember where I got the picture from. I've probably had it for over 30 years. It is one of several taken just before the old station was demolished in 1972/73. The new footbridge appears unfinished so I imagine it dates to the early 1970s. The goods yard sidings and shed have already gone. A new version of the Meat Store story? 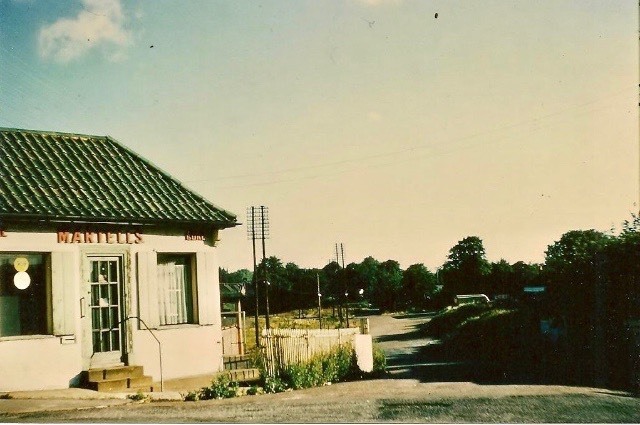 I was just looking at the article about the railway linking St Albans and Hatfield, and mention is made, plus photograph, of a wholesale meat store in what is known now as Butterwick Wood. My uncle Ted worked there from the time it was built (about 1943 from memory), and since he cycled to and fro he often stopped at our house in Hatfield Road [Oaklands]. Before that, Ted had been a war reserve policeman, but he was released because he had the required skills, having worked as a seaman on refrigerated ships between the two wars, and therefore understood the machinery used. His immediate manager was a Mr Southworth, a retired chief engineer from the Merchant Navy who we also got to know quite well. Apart from the St Albans depot, Southworth was also responsible for another store located at Stratford on Avon. He and Ted would drive up and inspect it from time to time, so if I happened to be on school holiday I sometimes had a trip to Stratford with them. The cold store was actually used for US Army frozen supplies, and on the staff at the store was a resident American sergeant. I remember Ted being very impressed because the guy had a small fridge in the boot of his car and kept beer in it! I was happy one day when Ted dropped by and asked if I liked prawns, because a box of frozen prawns had been slightly damaged and given to him rather than be thrown away. After WW2 the store remained and Ted continued working there until he retired, so it may well have become a meat store, but initially it was American owned and administered. I think [was] mentioned elsewhere that the railway line was also used for a mobile anti-aircraft gun (probably an Oerlikon) during the war, and we often heard it popping away during air raids. The possibility is that the "meat store" was partly a cover story, as so many were during WW2. I went out there with Uncle Ted on one occasion and can only remember one well-camouflaged building. The American sergeant was also there and may have been in the supply department of the [American] Army. I believe the American Air Force in the UK was the US 8th Army Air Force, which had evolved from the US Army Air Corps. Some years back I saw a report about its later use as a banana store and thought how appropriate, because Ted had learned about large scale refrigeration during the pre-war period while working on banana boats owned by Elders and Fyffes to the West Indies. He and his father both worked on boats owned by Elder Dempsters, who also owned Elders and Fyffes. Stewart. Very interesting information on Butterwick Cold Store during World War 2. I certainly did not know about the mobile anti-aircraft gun on the railway and that the cold store was owned and administered by the US Army. I am no expert on local activities during WW2 so would be interested if this information could be confirmed. Intriguing!. I have checked my copies of Working Timetables for LNER and British Railways at this time and the cold store is listed as Hill End Depot. I love the aerial photo of the cold store in 1951; you can just make out where my house was eventually erected. Roger. In 1941 forty-three identical brick refrigerated cold stores constructed of low-cost Fletton-type bricks around insulated steel frames were built by William Douglas & Sons for the Ministry of Food to house emergency meat and fish supplies. Size: 209 x 141 feet. They were scattered around the country as part of an integrated system of food control, distribution and handling. They were all located adjacent to main railway routes for ease of movement in and out of the stores. [Most of] the sites selected were away from primary target areas. Forty grain silos were built at the same time. 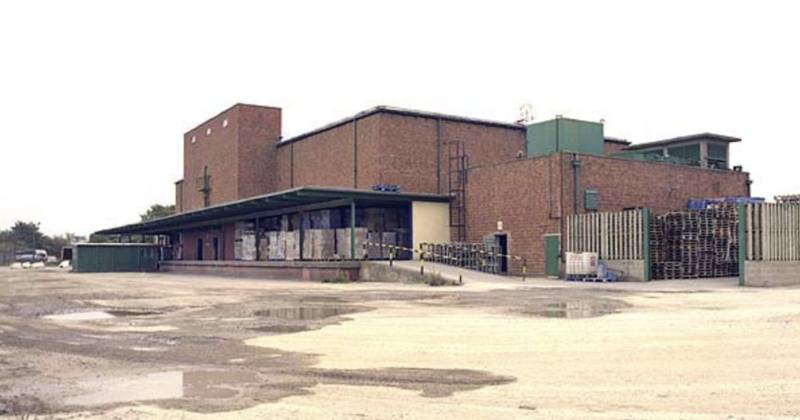 The cold stores continued to perform the same function during the early years of the Cold War. The storage of food in the UK peaked in 1956 with 750,000 tons, including at the 43 massive government-owned cold stores. In that year their role was downgraded and operation handed over to private contractors, although the MoF rented some space. By 1961 there was seen to be no need to have emergency meat stocks and the sites were rented out as commercial cold stores. 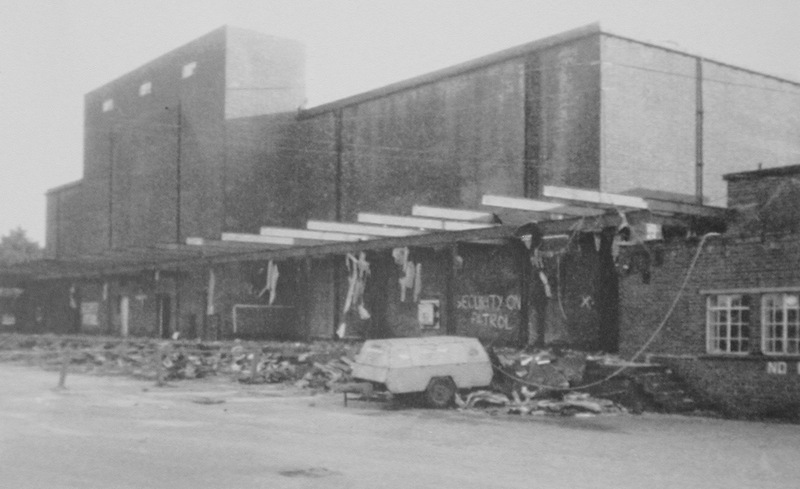 The photo below shows the Goldsborough store and loading dock before demolition. Courtesy Nick Catford. Compare with the Butterwick building. Living in Royston Road, after leaving the Grammar School in 1957 I started an apprenticeship at de Havilland Aircraft. In 1958 I was fortunate to gain a flying scholarship and learned to fly at Luton Flying Club on Tiger Moths, gaining my Private Pilot's Licence in August that year at the age of 17 yrs and 9 months. Wonderful memories of great days. Peter. My brother would have started at Fleetville School in September 1962. We left St Albans just before I started school in 1964, but I remember going there for a few hours to get a taster of school. I seem to remember there was a small police station nearby, and I remember visiting this when our house had been burgled, probably in 1963/64. We lived in Brampton Road, in one of the older houses on the south side, close to the junction with Hamilton Road. I must have walked to the school so many times when my mum took my older brother to school. My brother and I used to go and buy my Dad's newspaper at what I think is a post office on the corner of Hatfield Road. I seem to remember the papers laid out on a bench as if the shop were otherwise closed. Perhaps this was on a Sunday. Another cherished memory is of going to the library which was possibly relatively new in the early 60s. I wish I could find photos of it. I was also intrigued as a child by the Ballito stocking factory on the other side of the road. It was the first factory I ever saw. I remember walking down Sutton Road and under a railway bridge when I started feeling we were leaving behind home territory! I also have strong memories of a corner grocer's shop where I was fascinated by seeing bacon sliced. I think this was on the corner of Harlesden Road and Burnham Road. Adrian. The photos (below) were taken on the green at the NE corner of Woodland/Central drives junction where Irene Stebbings House now stands. My original memories of this particular plot of land was an area of waste land with a foot trail cutting from Woodland Drive to the corner of Central Drive shop arcade. There were two trees at the Woodland Drive corner that were great for climbing. Other children had climbed them before we did, and at strategic points nails had been driven into the trunks to provide a foothold. The green from that time (c1957/8) also had a painful memory for me. On a warm summer day I was shirtless, fairly new to riding a bike, I came a cropper on the footpath and fell into one of the many patches of stinging nettles and had to resort to the standard course of action of rubbing myself down with dock leaves. 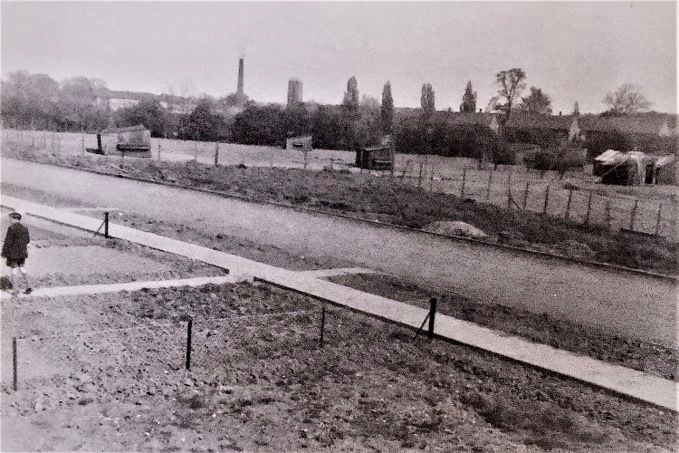 Not sure of the exact date but would guess early sixties, the council cleared, flattened and grassed the area (the two trees were left standing). The space became a regular location for games of football. I remember the picket fence going up and how annoying it was as the ball always seemed to sail over the top. The fence was a little too rickety to climb over so we always had to go round to fetch the ball and get the game back underway. Stephen. Group left: BACK ROW L-R: Richard Swan, Patrick May, Peter Wroe, Stephen Spary, Peter Spary. FRONT ROW L-R: Colin Blunden, Andy Curran, Martin Gear, Terry Parsons; finally, the younger boy whose name no-one seems to remember!